In a prior Ramadan sermon, I have discussed the importance of Huqooq ul Ibad (rights of fellow human beings), the significance of earning an honest living, abstaining from harshly judging others and taking responsibility for both the negative or positive consequences of our actions. In this sermon, I am sharing with you some verses from our holy book to convey to you the Quranic exhortation to establish good interfaith relations. The verses amply make it clear that Islam not only acknowledges the existence of other faiths but also accepts religious pluralism. The Quran reveals that Allah sent 120,000 of His prophets to humanity. It follows, therefore, that Islam does recognize differences in points of view and religious beliefs outside Islam (Quran 109:1). The Quran says no one has a right to force their own understanding of religion upon others (Quran 2:256). It acknowledges that other religions can also lead to salvation (Quran 2:62). So the diversity we see in this world is all Allah's creation. We should, therefore, not fight the will of Allah. We must accept it. 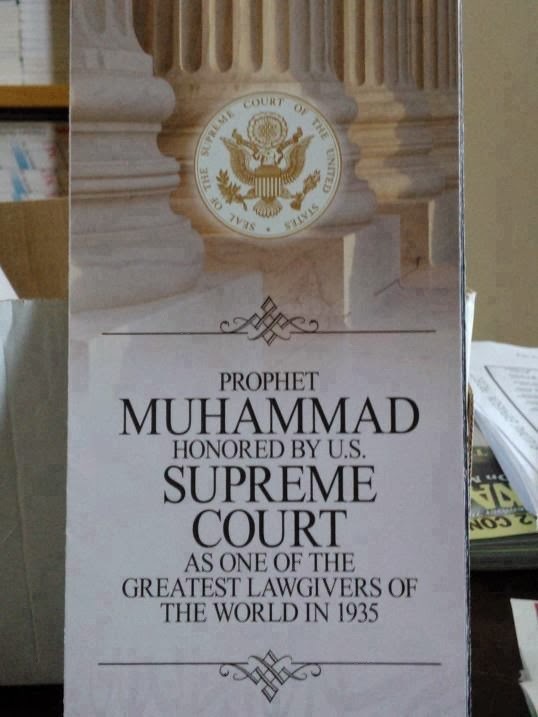 In matters of state, we must emulate the State of Madina that Prophet Muhammad (PBUH) created. We must learn from Misaq-e-Madina (Charter of Medina), Islam's first constitution approved by Prophet Muhammad (SAW) himself. It clearly says that all citizens of "Yathrib" (ancient name of Madina), regardless of their tribe or religion, are part of one nation--"Ummah". So the word "Ummah" here does not exclude non-Muslims who lived in Madina. In conclusion, let me remind you that in chapter 21 verse 117, the Quran says that "Allah sent Muhammad (SAW) as a blessing to all His creation", not just Muslims. We must, therefore, treat all of Allah's creation with love and kindness. This clearly exhorts all Muslims to strive for interfaith harmony. May Allah accept our fasting, our prayers and our charity in this holy month of Ramadan and guide us all to be His best servants. Every act of ISIS is a leaf out of the page of Hadees. Have you ever wondered why muslim terrorists always justify their actions by quoting quran or hadees. Sample pasted below. You are a 800 pound fruit-cake. No informed person in the west believes Islam is a peaceful religion. Notice the number of political parties in Europe which is anti islam. Bobby JIndal is one too. Taliban spokesman Muhammad Khorasani has justified the Peshawar jihad massacre (Army Public School on Dec 16 2014) by likening it to Muhammad’s massacre of the Jewish Qurayzah tribe. So you support the ISIS version of Islam by cherry-picking from the Quran to justify your innate hatred of Muslims? Right? Ok, it's a game that anyone of a religion can play to malign other religions. So let me ask you this: do you know about your own Hindu holy books? About Lord Krishna who you are named after? A key teaching is contained in the story of Arjuna. Arjuna was about to go into battle when he discovered many of his relatives and friends were on the opposing side. Arjuna didn't want to kill people he loved, but was persuaded to do so by Krishna. There’s a chapter in Subhash Gatade’s below-the-belt book Godse’s Children (Pharos Media). It is: “Shastrpujas: what’s religious about worshipping weapons?” Contrary to the general perception of Hinduism being an irenic (peace-loving!) faith, it’s a religion that has violence embedded in its fabric and bloodshed in its spirit. Because of its inherent violence and obscurantism, two philosophies alienated themselves from its wider canvas and came to be known as Buddhism and Jainism (History and doctrine of Buddhism by Edward Upham, 1829). If Hindus consider a few Quranic verses, quoted out of context, as violent and potentially dangerous, one finds Hinduism’s all ancient scriptures advocating the use of weapons and justifying bloodshed. Nationalist Indian historians are happy to heap blame for the destruction of Hindu temples on the waves of Muslim iconoclasts who wreaked havoc on their country from the time of Muhammad ibn Al-Qasim onwards. He came to Sindh in 712 AD. They’ve less to say about the destructive role of Brahmin zealots in the overthrow of Buddhist viharas and the absorption of Buddhist beliefs and iconography into reformed Hinduism - just as they remain largely silent about the impact on the rest of Asia of what was India’s greatest export: the civilising influence of Buddhism. In these same circles, the pioneering work of orientalists such as William Jones, James Princep and Cunningham is often portrayed as part of an anti-Brahmin, pro-Buddhist conspiracy of “Britishers” against Mother India. Adi Shankar was so paranoid to “save” his great Hinduism that he wrote a treatise in Sanskrit justifying the weapons and even “ritualistic sacrifice” to the deities. To him, Shankar’s Trishul (Trident) and Durga’s so many weapons in as many hands were exhortations to the devotees to emulate their deities in every respect, especially in terms of violence. That’s why he’d lay down the conditions that in philosophical discourses with Buddhist monks and scholars, whoever would lose, would have to resort to self-immolation. Many Buddhists monks immolated themselves having been defeated by the redoubtable, but extremely cunning Adi Shankar. Orientalist David Gardley opined that “Since deities are often the mental manifestations and imaginary projections of a race, community or a homogeneous group, it superimposes its own thoughts, views and ethos on the deities”. History will bail me out that the Deccan plateau was red with blood of the Shaivites and Lingaites. Shaivites claimed that it was Lord Shiva’s divine order to kill the followers of the opponent sect. And that’s why he brandished his trident. Krishna, if at all he existed (though chances of his existence are very very bleak), was the main cause of Kurukshetra that witnessed unprecedented bloodshed. That’s the reason, scriptures of Jainism consign him to Raurav, the seventh and the lowest hell. When a religion believes so much in sanguinary myths and violent ways through its deities, how can it claim to be non-violent and peace-loving? I believe you deserve the same kind of a response as your fellow troll Krishna. 4. "Now go, attack the Amalekites and totally destroy everything that belongs to them. Do not spare them; put to death men and women, children and infants, cattle and sheep, camels and donkeys"
The exaggerated image of pacifism projected on Buddhism (and Hinduism) was embraced and promoted by natives, as it conveyed moral superiority over colonialist oppressors and missionaries. Getting the message fed back by natives reinforced the original misconceptions. But the ultimate source is Euro-Americans themselves, weary of a century of warfare and longing for a pacifist Shangri-La. Buddhist cultural values were never so simplistic and practically served rājas, khans, and daimyō for millennia. The main reason Buddhists' history does not match our expectations, aside from them being as human as the rest of us, is that our expectations have been mistaken. Some think that fantasies of a pacifist utopia benefit the Tibetan cause. It can also be argued that they encourage communists to contemptuously dismiss western support for Tibet and obstruct Buddhists from engaging their values. Since the Dalai Lama's first statement, it became clear that Bin Laden did not die in a firefight to avoid capture, but was shot down unarmed. The Nobel laureate made the news again, calling the killing understandable, but this time he equated the death with the hanging of Saddam Hussein, expressed sadness at the killing, and re-emphasised his commitment to nonviolence. In Lhasa, where howling Tibetan mobs turned on ethnic Han Chinese and Hui Muslims last Friday in the worst violence in nearly 20 years. Many businesses owned by the Han Chinese and Hui Muslims were attacked and burned. It should be noted here that most Hui are similar in culture to Han Chinese with the exception that they practice Islam, and have some distinctive cultural characteristics as a result. For example, as Muslims, they follow Islamic dietary laws and reject the consumption of pork, the most common meat consumed in Chinese culture, and have also given rise to their variation of Chinese cuisine, Chinese Islamic cuisine. Their mode of dress also differs only in that adult males wear white caps and females wear headscarves or (occasionally) veils, as is the case in most Islamic cultures. News agencies report that a homemade bomb was thrown at a paramilitary vehicle yesterday. Police fired teargas to disperse onlookers and schools were ordered to close early. It was unclear how many people were hurt. Residents said four police were killed or wounded but officials would not comment. The Chinese premier has accused the Dalai Lama of organized violence by the Tibet government in exile along with its western supporters. The scenes of violence perpetrated on the streets of Tibet and neighboring provinces raise questions about the non-violence preached by the Dalai Lama and his supporters. The Dalai Lama, speaking to the media in India, has denied supporting violence. He has offered to resign if the violence continues. But the anti-Chinese protests and violence across Tibet and in neighboring provinces have continued where many Tibetans live. According to the news reports from a remote corner of Gansu province, hundreds of Tibetans on horseback galloped through a town shouting “Come back Dalai Lama” and “Free the Panchen Lama”, before ripping down a Chinese flag and raising a Tibetan snow lion banner. Why did we leave non-believers out? They are human too and truly the innocent ones. Please give them a break. When will we stop this religious bigotry and stop saying things that are just convenient? “Choose some thing or go to hell”, is compulsion to me. Riaz Bhai I expected more of you, after all you are the voice of the poor world!! M. Zaidi: " Why did we leave non-believers out? They are human too and truly the innocent ones. Please give them a break." I consider all religions to be fantasy but making a comparison between dharmic and abrahamic religions is a bit silly. There's no way you are going to convince anyone that dharmic religions have been more violent or as violent as abrahamic ones. most of what is known of shankara's life is pure speculation but as far as debate is concerned - the loser in a debate certainly did not have to immolate himself. some of shankara's greatest followers were his defeated adversaries. but yes i don't see the point in abusing any one religion just because the fan club are crazy. i believe these are all fantasies and the sooner we all get over them and lead a life based on rationality the better. As human beings, we react to events. now we can either respond peacefully or violently. the question that people throughout the world should ask themselves is whether a violent confrontation is really helping anyone and whether violence is a good advertisement for their religion. The month of Ramadan is entering into its last quarter, and that is increasing philanthropy activities in Pakistan. 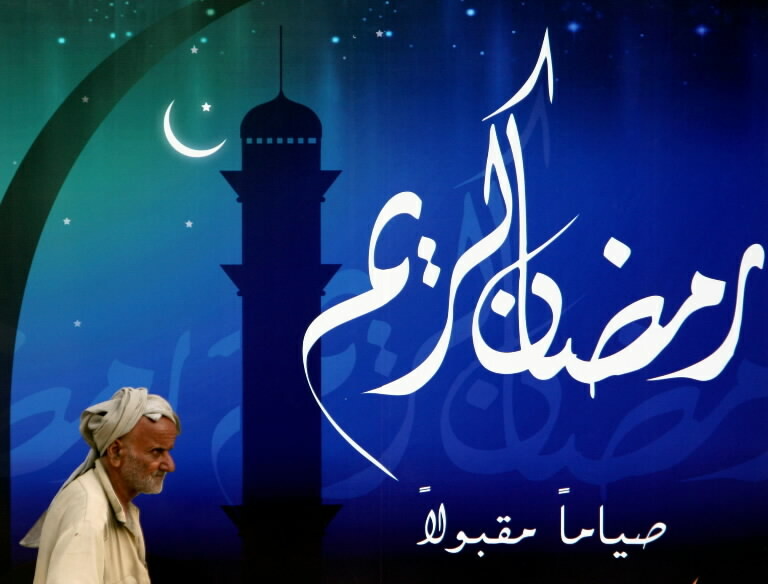 Muslims during this holy month of Ramadan usually not only fast, but also do charity work, because it is said that Muslims should help Muslims, as well as non-Muslims, who are needy. There are many compensatory duties regarding charity in Islam, including Zakat and Fitrana. Both are usually done in this month of Ramadan. Zakat al-Fitr is charity given to the poor at the end of the fasting in the Islamic holy month of Ramadan. The word Fitr means the same as Iftar - breaking a fast - and it comes from the same root word as Futoor, which means breakfast. The main purpose of Zakat al-Fitr is to provide the poor with a means with which they can celebrate the festival of breaking the fast (Eid al-Fitr) along with the rest of the Muslims. The significant role played by Zakat in the circulation of wealth within the Islamic society is also played by the Sadaqat al-Fitr. However, in the case of Sadaqat al-Fitr, each individual is required to calculate how much charity is due from himself and his dependents, and to go into the community in order to find those who deserve such charity. Thus, Sadaqat al-Fitr plays a very important role in the development of the bonds of community. The rich are obliged to come in direct contact with the poor, and the poor are put in contact with the extremely poor. This contact between the various levels of society helps to build real bonds of brotherhood and love within the Islamic community and trains those who have, to be generous to those who do not have. Several organizations, like Khalifa bin Zayed Al Nahyan Charity Foundation, Edhi Foundation, Sahara Foundation, and the Red Crescent Authority, have taken the lead in this noble task of serving the deserving people by organizing Iftar programs. Charities are coming from immigrant Pakistanis from all over the world, particularly from the United States, Canada, and the United Kingdom. Meanwhile some foreign organizations are also doing charities and providing food, clothes, and even medicines to poor and needy people. In such activities, the UAE embassy in Islamabad is leading, compared to any other foreign organization. These Iftar programs are being held in compliance with the directive of the President of the UAE, Sheikh Khalifa bin Zayed Al Nahyan, and the UAE has been purposefully engaged in Iftar programs, which besides provision of food stuff, readymade meals are also included in distribution of alms and clothes to orphan children and the needy on the eve of Eid ul Fitr. The UAE ambassador to Islamabad Essa Abdulla Al Basha Al Noauimi, since the beginning of the holy month, has been distributing among needy families, large quantities of dates, which were sent by the UAE Red Crescent. At least 50,000 tons of dates have been distributed across the country as part of its continuing Ramadan programs, it said. A delegation of the Khalifa Charity Foundation specially flew into Pakistan to distribute twenty tons of dates and 150,000 bags of flour in some districts of southern Punjab and the Balochistan provinces. Another initiative was launched by the Director of the “UAE Project to Assist Pakistan," Abdulla Al Ghafli, under which a consignment of 160 tons of flour were transported to Khyber Pukhtoonkhaw. This was meant for the families of Internally Displaced Persons (IDPs) who had to leave their homes as a result of the military operation against the militants in South Waziristan. The IDPs had to take shelter in camps in KPK, and this project would benefit about 20,000 such families. There is history and then there is the memory of history. While history is preserved in annals, its memory comes down to generations through the interplay of culture, traditions and oral accounts. Every significant event ever unfolded on the face of the earth is temporal in a sense that it occurs in a particular time-space setting, and at the same time, eternal, because of its sheer ability to recreate itself over and over again. While the temporal aspect is discrete and entrenched in time, determining the course of succeeding events, the eternal aspect is pliable and serves as a cornerstone in times to come, in order to make sense of the past, reconcile with the present, and map out the future. When it comes to tragedy, the memory can overshadow the event itself. Memory is human, all too human. History is not. Karbala is memory. Such is the timelessness of the memory that the howl of Karbala still echoes in the air after all these centuries. Such is the versatility of the symbolism attached to it that it has attracted poets, mourners, mystics, revolutionaries, devotees and writers alike. Such is the appeal of the tragedy that Karbala has become a significant constituent of the cultural construct of the subcontinent. Mysticism has been at the roots of the South Asian cultural edifice since the days of the arrival of Muslim saints (Sufis) to the Indian soil. Wahdat al-Wajood (Doctrine of Immanence), theoretically developed by Ibn Arabi, took roots in the Indian soil because it was more Indian in character. The cry of “Ana al-Haqq” (I am Truth) raised by Mansur Hallaj on the gallows reverberated through the Muslim world and inspired people in distant lands. It was a cry of “Fana fi’llah” (annihilation in the Divine) in order to attain subsistence in God (Baqa bi’llah). Karbala, in this particular Sufi tradition, is not mourned but celebrated because of annihilation of the physical self into the Divine. While the commemoration of Karbala emphasises the trials and tribulations faced by Prophet Muhammad’s (Peace be Upon Him) family, the mystic celebration deals with the spiritual outcome of this particular event. The martyrdom for the will and the love for the Divine attains the highest status in this realm. Mansur and Hussain are celebrated in the same vein within this particular tradition. In the realm of music, the indigenous musical tradition, qawwali, is particularly important in weaving musical notes in service of the concept of “fana”. For centuries, qawwals have celebrated the mystical aspect of Karbala in the verandas of Sufi shrines. (Why did Ibn e Haider drink hemlock? before you preach to me of your passion for your faith, teach me about it through your compassion for your neighbors. In the end, I'm not as interested in what you have to tell or sell as in how you choose to live and give. What is Mary’s place in the Qur‘an? Like the Gospel, the Qur‘an goes into details to describe the episode of the Annunciation and Christ’s miraculous birth. In the Qur‘an, no woman is mentioned by name but Mary’s, which comes up 36 times. A long verse is even dedicated to her. When God “hath preferred thee above (all) the women of creation,” her place was set forever. Her title applies to her life on earth as well as beyond. Choosing the Annunciation as a feast day to bring everyone together should be welcomed in both communities. How did the initiative start and how did the government react? What impact can this joint celebration have on Muslim-Christian relations? Our initiative will affect Muslim-Christian relations for a long time. This coming together around Mary is already an especially important event in the history of our two religions. Once more, the Holy Virgin will increase her love for the whole of humanity, and Lebanon will show once again that, in addition to being a country, it is also a message. In Canada’s Arctic, summers are marked by a bright light that bathes the treeless tundra for more than 20 hours a day. For some, it’s a welcome change from the unrelenting darkness of winter. But for the small but growing Muslim community of Iqaluit, Nunavut, life in the land of the midnight sun poses a singular challenge during the month of Ramadan, during which Muslims typically fast from sunrise to sunset. “I haven’t fainted once,” said 29-year-old Abdul Karim, one of the few in the city who has fastidiously timed his Ramadan fast to the Arctic sun since moving from Ottawa in 2011. This year that means eating at about 1.30am before the sun rises and breaking his fast at about 11pm when the sun sets. As the end of Ramadan draws near for Muslims around the world, much of the holy month’s focus on community work, prayer and reflection has been a constant in communities around the world. But in Iqaluit and the other Muslim communities that dot the Arctic, the long days have forced a shift in how the element of fasting is approached. Most in Iqaluit adhere to the timetable followed by Muslims in Ottawa, some 1,300 miles south of the city – a nod to the advice of Muslim scholars who have said Muslims in the far north should observe Ramadan using the timetable of Mecca or the nearest Muslim city. Many in the 100-strong community break their fast together, gathering in the city’s brand new mosque – completed in February amid temperatures that dropped as low as -50C with windchill – for nightly potluck suppers. As they tuck into traditional meals such as dates, and goat or lamb curries, the sun shines brightly through the windows. It’s a scene that plays out across Canada’s northernmost mosques during Ramadan, as Muslim communities wrestle with the country’s unique geography. The 300 or so Muslims in Yellowknife, in the Northwest Territories, have several options when it comes to fasting during Ramadan, said Nazim Awan, president of the Yellowknife Islamic Centre, with exceptions made for those who are pregnant or ill. In recent years, much of the community has opted to follow the Ramadan timetable of Edmonton, in Alberta. Some, such as Awan – a father of two young kids, including a 12-year-old who recently started fasting – follow the timings of Mecca. He hopes to encourage his son with the more manageable timetable of about 15 hours of fasting as compared with about 18 hours in Edmonton. “If I fast Yellowknife or Edmonton times, my son might say, Papa, you are really insane, what are you doing?” he said. 79% of American Muslims marry within their faith, 21% outside, according to Pew Research. 77% of American Muslims identify with their childhood religion, 23% don't.